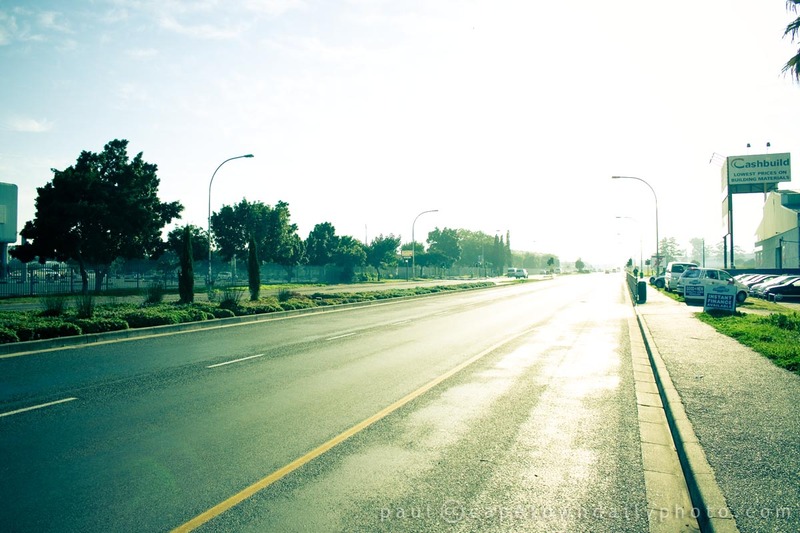 The Old Paarl Road starts in the suburb of Bellville and runs parallel to the N1 national highway, through Brackenfell, Kraaifonten, and other suburbs all the way to Paarl - and beyond in fact. I wasn't around at the time, but at some point I was told that the Old Paarl Road was the main route that one took to get to Paarl (a farming town about 60 kilometers from Cape Town) before the N1 was built. Posted in General and tagged road on Sunday, 22 August, 2010 by Paul. Is it just me or does the photo look a bit overexposed? Because it’s “Old” Paarl Road I thought I’d give the photo a vintage feel – hence the colouring. I felt that the extreme exposure added to this, and like that it cut out detail towards the end of the road. Well observed Jonathan – McDonalds coffee it was. Yes Ali! I really like that song. It’s strange, but there’s a lot of people who don’t like the Parlotones. I took photos at one of their gigs a while back. It was fantastic! Hendrik – yeah, I think it is fairly old hey. It kinda makes sense – it’s the old main road to get to Paarl. Do you know if those ’50s photos are on the Web? Hey Paul, can you list the travel agents in Paarl city. They can help me to arrange visa asistence.. Please mail me if you can, thank you. Suri, check out Paarl Tourim’s site as well as Cape Town Tourism – I’m sure you’ll find all the info that you need. Alternatively, you could try this link – I see they have a list of travel agents in South Africa. If I were you though I’d try to use a well-known group like Rennies, Flight Centre, etc.